Mike Adams sought out the Pittsburgh Steelers prior to the 2012 NFL Draft. A dominant force at offensive tackle for the Ohio State Buckeyes, Adams had serious potential to be a big-time draft pick but his off-field issues resulted in teams shying away. He approached the Steelers and asked them to give him a shot. When Adams was sitting there available for the Steelers with their second round selection, General Manager Kevin Colbert and Head Coach Mike Tomlin saw an opportunity to continue rebuilding a depleted offensive line. That process had already started when the Steelers selected Stanford guard David DeCastro in the first round. While DeCastro continues to develop into the big-time guard the Steelers expected him to, Adams has struggled to find his footing in the NFL both figuratively and literally. Through the first four games last season, Adams graded out to the eighth worst tackle in the NFL according to Pro Football Focus. As the team headed into the bye week, Adams was replaced by former seventh-round selection Kelvin Beachum. The issues for Adams seem to be two-fold. On one hand, his urgency and intensity have been questioned a great deal and many of us outside the Steelers’ locker room can only take what we read and see regarding that. The other issue is that Mike Adams is just not very good with his feet. An offensive tackle must have not only quick feet, but efficient feet as well and the lack of good footwork has doomed Adams so far in his career. Mike Munchak will be Adams’ third offensive line coach in three years and of the three, Munchak is far and away the best and most respected. There is no question in my mind that Mike Tomlin and the Steelers had Adams in mind when they pursued Munchak because they believe he can make Adams better. Still, Mike Adams can only go as far as Mike Adams is willing to go. Regardless of how hard Munchak pushes him and how well he teaches him, it will all fall on him and the outcome will be his doing and no one else’s. Obviously we want Mike Adams to succeed and become a regular starter for this team but we are allowed to have our doubts. One thing is for sure about the next 10 months; we’ll find out just how good of a coach Mike Munchak is simply by watching Mike Adams. Marc Uhlmann writes for and co-owns www.steelcityblitz.com. 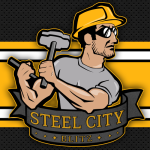 Follow him on Twitter @steeldad and follow the website at @SCBlitz. 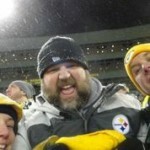 He can be heard Mondays on Trib-Live Radio at 730pm ET talking Steelers and is a blogger for ESPN 970 in Pittsburgh. Mike Adams is a road grader, right tackle. Put him on the rightside and watch him plow over people. Beachum has been and is a Left Tackle. He will prepare properly and he wants to be Great. I agree Rob. He’s a right tackle for sure. I think with him though the question is just how bad does he want it?